Dave Ramsey knows how to capture your attention. Normally he uses that skill in the service of doling out financial advice to the more than 7.7 million people who tune in to his radio show every week, which makes him the third-most-popular radio personality in the country, behind Rush Limbaugh and Sean Hannity and ahead of Glenn Beck. Or to the thousands more who throng to his live events, like his planned appearance at a 3,000-seat arena in New Jersey in November. Or the readers of his four bestselling books, or participants in his Financial Peace University, a nine-week video course offered at local sites around the country, often churches. In June, however, Ramsey took to Twitter and engaged a very different audience: financial advisers. “I help more people in 10 min. than all of you combined in your ENTIRE lives,” Ramsey tweeted at a group of advisers in response to a discussion they had kicked off about him. For good measure, he ended his tweet with the hashtag #stophating. Strong words, but so were those of the advisers. Ramsey’s tweet sparked more debate online, in barbed blog posts from other advisers and investment writers. Which goes to show that Ramsey is one of the most compelling figures in the world of financial advice, as well as a polarizing one. When MONEY readers were asked in a recent survey whom they would most want to read more about, Ramsey ranked near the top. It makes sense: He’s an eloquent, relentless preacher for habits any reader of this magazine would embrace, like saving a lot, staying out of debt, and planning for the long run. Yet he gives investment advice that drives many financial advisers crazy, and with some cause. In Ramseyland, you can let everything ride on equities, and the bull market of the 1980s and ’90s goes on forever. Ramsey’s scrap with advisers is also over who are best qualified to give investment advice — and how they should be paid. The radio star has aligned himself, and part of his business, with brokers who earn commissions selling mutual funds with front-end sales charges. Many of Ramsey’s critics are financial planners who are paid on a fee basis, no matter what their (mostly well-heeled) clients buy. Such critics have been trying to pick apart his ideas for years, but Ramsey has grown only more popular. This is quite a turn for a man from Tennessee who likes to call himself “a complete failure.” Ramsey’s origin story of collapse and rebuilding, told again and again on his radio show and at live events, has become the cornerstone of his popular appeal. By the time Ramsey was 26, he has written, he had become a real estate millionaire, but the leverage inherent in the business caught up with him. Ultimately, Ramsey has said, he had to declare bankruptcy. Ramsey, who declined to be interviewed for this story, attaches a simple lesson to this: Debt is corrosive, almost to the point of being a moral failure. “The borrower is slave to the lender,” Ramsey says, invoking Proverbs. Ramsey, 53, got his start in radio with a show in Nashville in 1992. By the time he came to the attention of the coastal elites in the mid-2000s, his show was already a national force, with 2 million listeners. Ramsey tells people that no matter the state of their financial lives, there is hope for recovery if they will just take responsibility and start to take action. Ramsey’s credibility is a valuable commodity. Zander Insurance Group, a Nashville-based company that sells term life insurance, has Ramsey’s face and warm endorsement plastered all over its website. Co-owner Julian Zander, who calls Ramsey “my buddy, my mentor,” attributes all of his company’s out-of-state life insurance sales, the majority of their life business, to Ramsey. Ramsey also lends his name to a mortgage company, a business that buys gold, and family web-filtering software. He’s extended his brand to the grass-roots level too: Go to Ramsey’s website, type in your contact information, and his company, Lampo Group, will put you in touch with an “endorsed local provider” (ELP) who can give you investment advice that is supposed to be consistent with Ramsey’s philosophy. 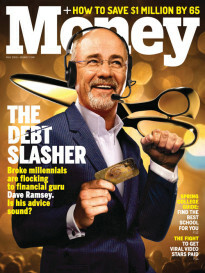 What’s notable about the war of words between Ramsey and the financial planners is that they are largely talking past one another. Top financial advisers counsel the affluent about the fine points of how to invest their money, maybe along with estate planning and sanding down tax bills. Ramsey focuses his advice mainly on people struggling to get out of costly consumer debt. His bestselling book The Total Money Makeover has about two pages describing which mutual fund to invest in. There’s an entire chapter on how to save $1,000. In fact, the very first thing that Ramsey says in “Dave’s Investment Philosophy,” at daveramsey.com, is that you may not be ready to invest yet. First you have to follow “Baby Step 1” and save that $1,000. Step two is to pay off all your debts besides your mortgage, and step three is to build up an emergency fund that has six months’ worth of expenses in it. Only then can you move on to investing. It’s likely that many of Ramsey’s listeners are on step three or earlier, dreaming of the day when they might start investing. According to the Census Bureau, half of U.S. households with unsecured debts owe $7,000 or more. (That’s not counting mortgages and car loans.) And in a recent survey by the Employee Benefit Research Institute, 57% of U.S. workers said they had less than $25,000 saved. Under Ramsey’s plan, you budget carefully, cut up all your credit cards, and use only cash, distributed into different envelopes dedicated to different types of expenses. With the money left over, you “snowball” your debts, paying them off in order of size, smallest first. As Ramsey points out, it makes more sense mathematically to target high-rate debt, but the idea is to quickly see evidence that you are on your way to being debt-free. For many in Ramsey’s audience, being able to invest is the brass ring. Where you actually stash your extra money after you’ve slain the debt and built up your bank account is a luxurious detail. But it’s worth saying this forthrightly: Ramsey’s investing advice is weak and could get you into trouble if you follow it too closely. Some of Ramsey’s message is solid: He’s pointedly skeptical of often high-cost products like variable and index annuities. Other tips, though, are strangely vague. 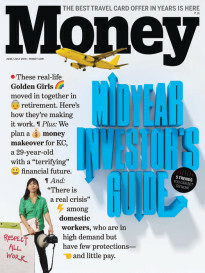 For example, in The Total Money Makeover he says to put 25% of your portfolio in “aggressive-growth funds,” which, he then clarifies, are sometimes called “small-cap” or “emerging markets” funds — advice that might put the uninitiated into either a fund specializing in young U.S. businesses or one buying Brazilian and Chinese conglomerates. More consequentially, Ramsey advocates a portfolio of only stock funds, with no bonds. (He does say that those with low risk tolerance might add a balanced fund, which includes some bonds as well as stocks.) Given the volatility of stocks, that’s aggressive advice, to say the least. “Generally you want a portfolio that gets safer as you age, with stocks but an increasing tilt into bonds and cash,” says Christine Benz, director of personal finance at the fund research group Morningstar. In fact, this is unhinged from the reality of the investing world. “I don’t see how anybody can count on 12% annual returns,” says William N. Goetzmann, professor of finance at Yale. Part of the issue is a wonky-sounding math point, which you can see illustrated below (click the image for a larger view). Correctly calculated, the long-term return on stocks since 1926 is closer to 10% — before taking out mutual fund fees and front-end sales costs. And if you follow Ramsey, you’re likely to pay sales charges: Outside a 401(k), he recommends A-share “load” funds sold via advisers. That’s because, he says, people need a pro to help them stick to their plan and not jump out when an investment underperforms. The other problem with 12% is obvious: the experience of the past 13 wild years. While some periods, like the 1980s and ’90s, do deliver double-digit returns, investors know they can also see long stretches — perhaps in their peak saving or retirement years — earning a lot less. Ramsey recently debated that subject on his radio show with Brian Stoffel, a columnist for The Motley Fool, who wrote about that 12% number in the wake of the Twitter fight. Stoffel said 12% was unrealistic; Ramsey said that it wasn’t, and that if his listeners had taken his advice and followed it for the past 20 years, “they would have had a pretty strong rate of return.” He challenged Stoffel “to analyze that and figure that out,” which Stoffel obviously couldn’t do on a live radio show. But here are the numbers, using data from Morningstar. If someone invested equally in four mutual funds corresponding to Ramsey’s plan, using the kind of load-charging funds he recommends, over the past 20 years the annualized return would have been 7.6%. That said, if you take Ramsey’s very wise advice to save 15% of your income a year, you’ll be doing okay in the end whether you earn 7.6% or 12%. The real pitfall of a 12% assumption is what it can do to you after you retire, if you use it to justify too high a withdrawal rate. As with the 12% figure, Ramsey sometimes hedges 8% — and the actual mechanics of the withdrawal strategy in his book are hazy. If you simply take out 8% of your portfolio balance every year, your income could drop 40% after a year like 2008. Alternatively, if you took out 8% your first year and then increased your income to keep up with inflation in the following years, you’d risk running out of money fast if you hit bad markets early in your retirement. On his own blog, Pfau points to a well-known study of withdrawal rates: With an all-stock portfolio, using actual returns from 1926 to 2009, an 8% initial rate would have a 24% chance of draining your account in 15 years, as you can see in the following graphic (click on the image to enlarge.) That’s why planners often recommend half that rate. In fairness, Ramsey says you should get your real investment advice from a qualified pro — such as one of his endorsed local providers. Since ELPs are independent, there’s no way to judge their overall advice, but to get a feel for what they do, I set up an appointment. After I typed my contact details into the form on Ramsey’s website, it was Scott Smiler who picked up the phone and gave me a ring. Smiler is a lawyer at Gallet Dreyer & Berkey in Manhattan, whose main practice is real estate law. He’s also a financial adviser who makes extra money investing the funds of Ramsey fans — at least those who live in New York. Smiler pays to be an ELP. He wouldn’t say what that fee is, but MONEY spoke to other advisers advertising their ELP status who said that it was roughly $80 per lead. There’s no way to know the money this generates overall for Ramsey. (“We use the fees to fund the large staff and technology required to operate the ELP program,” says Ramsey’s website.) It does appear that the ELP force is expanding; two providers said more ELPs had been added to their area in recent years. When we first spoke on the phone, Smiler told me that “for Dave’s audience, as a courtesy” he would charge nothing for his time and no percentage of total assets under management. Instead, he would be paid on commission, by selling A shares of mutual funds — the ones with the high front-end loads. Later, Smiler acknowledged that he extends this courtesy to pretty much all his clients, nearly all of whom come through Ramsey. “Dave Ramsey is, for lack of a better word, a referral source for me,” said Smiler, who knew I was working on a story about Ramsey. He explained that ELPs have certain philosophies and techniques in common — what Smiler called a framework. They believe in the importance of building up an emergency fund, for instance, in meeting face to face, and generally in the Dave Ramsey worldview, which means, for example, mutual funds rather than individual stocks. There are differences that come with serving people mainly referred through Ramsey. One is that clients tend to be religious Christians. Smiler told me that once, talking to a new client on the phone, she flat-out asked him what his religion was. He said he was Jewish. There was a pause, and then they kept on talking. Smiler says he keeps his approach strictly secular. So how was the advice? Smiler recommended I invest in American Funds’ target-date fund, which carried an upfront 5.75% load. That means for every $100 I gave him, only $94.25 would actually be invested on my behalf. Again, that load is how Smiler gets paid for his time. By suggesting a target-date fund, which mixes bonds and stocks and would shift to bonds as I age, Smiler is somewhat at odds with Ramsey’s all-stock investment philosophy — and just as well. Smiler also knew that I was currently invested exclusively in low-cost index investments, and to his credit he didn’t even attempt to ask me to move those investments over to him. Doing so would not only involve my paying thousands of dollars in upfront commissions, but also give me an entirely unnecessary tax liability. Smiler’s pitch was that I’d invest my new money through him, and in return he’d tell me how to put it to work in a more tax-efficient manner. That’s arguably a fair trade if you’re uninitiated in the ins and outs of Roth IRAs. And if you are someone who wants the hand-holding by a financial adviser, you could do worse than one who recommends American, a generally well-regarded fund family. Richards comes from the rival world of planners and advisers who charge flat fees or a percentage of assets instead of commissions. The idea is that there’s no incentive for them to sell anything except the funds they think will perform best over time. But Richards says that the kind of service a good adviser should provide is also very personal — and personal services don’t easily scale. Richards, for example, is director of investor education for BAM Alliance, a network of “wealth managers” whose typical client invests between $500,000 and $1 million. Investors just starting out tend to get left behind. Ramsey’s ELP program, by contrast, has a waiting list for providers — which means that it expands to fill demand. If you’re a small investor with only a few hundred or a couple of thousand dollars to invest and you ask to be introduced to an ELP, you will get a meeting, and someone to talk you through the process. So you might say that Ramsey stands for democratizing investing — except for the fact that in 2013 do-it-yourself investing has never been easier or less expensive. Exchange-traded funds that track broad indexes cost almost nothing, and with three of them most people could get all the diversification they need. Or you could call a no-load fund company directly and ask to buy a single target-date fund matched to your age, nabbing a fairly complete investment plan with very little effort or cost. Ramsey could use his platform to explain to listeners how these simple tools work. Instead, he advocates only load mutual funds while pushing return assumptions that recall the age of irrational exuberance. What’s unclear is why. Sincere belief? Business interests? Desire to convince debtors of the upside to changing their ways? All of the above? “I’ve gotten more people out of debt than anyone in the history of America,” he tells listeners, and even some of his harshest critics will concede he’s done a lot of good. But if you’ve gotten through the baby steps of conquering debt and starting to save, you’d be wise to graduate to better advice on investing. An earlier version of this story misstated the length of Dave Ramsey’s Financial Peace University course. It was shortened from 13 weeks to nine last year.